77-20-1 Right to bail — Denial of bail — Hearing. (a) “Bail bond agency” means the same as that term is defined in Section 31A-35-102. (b) “Surety” and “sureties” mean a surety insurer or a bail bond agency. (c) “Surety insurer” means the same as that term is defined in Section 31A-35-102. (d) felony when the court finds there is substantial evidence to support the charge and it finds by clear and convincing evidence that the person violated a material condition of release while previously on bail. (d) ensure the safety of the public. (a) Except as otherwise provided, the initial order denying or fixing the amount of bail shall be issued by the magistrate or court issuing the warrant of arrest. (b) A magistrate may set bail upon determining that there was probable cause for a warrantless arrest. (c) A bail commissioner may set bail in a misdemeanor case in accordance with Sections 10-3-920 and 17-32-1. (ii) may be denied bail by the court under Subsection 77-36-2.5(8) or (12). (d) any other reliable record or source. (6)(a) A motion to modify the initial order may be made by a party at any time upon notice to the opposing party sufficient to permit the opposing party to prepare for hearing and to permit any victim to be notified and be present. (b) Hearing on a motion to modify may be held in conjunction with a preliminary hearing or any other pretrial hearing. (c) The magistrate or court may rely on information as provided in Subsection (5) and may base its ruling on evidence provided at the hearing so long as each party is provided an opportunity to present additional evidence or information relevant to bail. (7) Subsequent motions to modify bail orders may be made only upon a showing that there has been a material change in circumstances. (8) An appeal may be taken from an order of any court denying bail to the Supreme Court, which shall review the determination under Subsection (2). (b) the time for filing a notice to seek the death penalty has expired and the prosecutor has not filed a notice to seek the death penalty. (4)(a) Except as otherwise provided, the initial order denying or fixing the amount of bail shall be issued by the magistrate or court issuing the warrant of arrest. (ii) may be denied bail by the court under Subsection 77-20-3.5(9) or (11). (a) A motion to modify the initial order may be made by a party at any time upon notice to the opposing party sufficient to permit the opposing party to prepare for hearing and to permit any victim to be notified and be present. 77-20-3 Release on own recognizance — Changing amount of bail or conditions of release. (1) Any person who may be admitted to bail may likewise be released on the person’s own recognizance in the discretion of the magistrate or court. (b) impose or change the conditions of release under Subsection 77-20-1(3). 77-20-3.5 Conditions for release after arrest for domestic violence and other offenses — Jail release agreements — Jail release court orders. (a) “Domestic violence” means the same as that term is defined in Section 77-36-1. (ii) specifies other conditions of release from jail. (d) “Minor” means an unemancipated individual who is younger than 18 years of age. (e) “Offense against a child or vulnerable adult” means the commission or attempted commission of an offense described in Section 76-5-109, 76-5-109.1, 76-5-110, or 76-5-111. (iii) the commission or attempted commission of an offense described in Title 76, Chapter 5, Part 4, Sexual Offenses. (a) Upon arrest for a qualifying offense and before the person is released on bail, recognizance, or otherwise, the person may not personally contact the alleged victim. (b) A person who violates Subsection (2)(a) is guilty of a class B misdemeanor. (ii) the person signs a jail release agreement in accordance with Subsection (3)(d)(i). (b) The arresting officer shall ensure that the information presented to the magistrate includes whether the alleged victim has made a waiver described in Subsection (6)(a). (iii) any bail that is required to guarantee the arrested person’s subsequent appearance in court. (C) knowingly enter onto the premises of the alleged victim’s residence or any premises temporarily occupied by the alleged victim. (ii) The magistrate shall schedule the appearance described in Subsection (3)(d)(i) to take place no more than 96 hours after the time of the arrest. (iii) The arrested person may make the appearance described in Subsection (3)(d)(i) by video if the arrested person is not released. (a) If a person charged with a qualifying offense fails to appear at the time scheduled by the magistrate under Subsection (3)(d), the person shall comply with the release conditions described in Subsection (3)(d)(i) until the person makes an initial appearance. (ii) if the court grants the motion described in Subsection (4)(b)(i), shall order the arrested person to appear at a time scheduled before the end of the granted extension. (5) Except as provided in Subsection (4) or otherwise ordered by a court, a jail release agreement or jail release court order expires at midnight after the arrested person’s initial scheduled court appearance described in Subsection (3)(d)(i). (a) After an arrest for a qualifying offense , an alleged victim who is not a minor may waive in writing the release conditions described in Subsection (3)(d)(i)(A) or (C). Upon waiver, those release conditions do not apply to the arrested person. (b) A court or magistrate may modify the release conditions described in Subsection (3)(d)(i), in writing or on the record, and only for good cause shown. (iii) before releasing the arrested person, give the arrested person a copy of the jail release agreement or the jail release court order. (i) When a person arrested for domestic violence is released pursuant to Subsection (3) based on a written jail release agreement, the releasing agency shall transmit that information to the statewide domestic violence network described in Section 78B-7-113. (ii) When a person arrested for domestic violence is released pursuant to Subsections (3) through (5) based upon a jail release court order or if a written jail release agreement is modified pursuant to Subsection (6)(b), the court shall transmit that order to the statewide domestic violence network described in Section 78B-7-113. (c) This Subsection (7) does not create or increase liability of a law enforcement officer or agency, and the good faith immunity provided by Section 77-36-8 is applicable. (8)(a) If a law enforcement officer has probable cause to believe that a person has violated a jail release agreement or jail release court order, the officer shall, without a warrant, arrest the person. (ii) if the original arrest was for a misdemeanor, an offense under this section is a class A misdemeanor. (c) City attorneys may prosecute class A misdemeanor violations under this section. (9) A person who is arrested for a qualifying offense that is a felony and released in accordance with this section may subsequently be held without bail if there is substantial evidence to support a new felony charge against the person. (f) information regarding the availability of and procedures for obtaining civil and criminal protective orders with or without the assistance of an attorney. (d) notification that the alleged perpetrator is to personally appear in court on the next day the court is open for business after the day of the arrest. (a) A pretrial or sentencing protective order supersedes a jail release agreement or jail release court order. (b) If a court dismisses the charges for the qualifying offense that gave rise to a jail release agreement or jail release court order, the court shall dismiss the jail release agreement or jail release court order. (13) In addition to the provisions of Subsections (3) through (12), because of the unique and highly emotional nature of domestic violence crimes, the high recidivism rate of violent offenders, and the demonstrated increased risk of continued acts of violence subsequent to the release of an offender who has been arrested for domestic violence, it is the finding of the Legislature that domestic violence crimes, as defined in Section 77-36-1, are crimes for which bail may be denied if there is substantial evidence to support the charge, and if the court finds by clear and convincing evidence that the alleged perpetrator would constitute a substantial danger to an alleged victim of domestic violence if released on bail. (14) The provisions of this section do not apply if the person arrested for the qualifying offense is a minor, unless the qualifying offense is domestic violence. (c) by credit or debit card, at the discretion of the judge or bail commissioner. (2) Bail may not be accepted without receiving in writing at the time the bail is posted the current mailing address, telephone number, and email address of the surety. (3) Bail posted by debit or credit card, less the fee charged by the financial institution, shall be tendered to the courts. (4) Bail refunded by the court may be refunded by credit to the debit or credit card, or cash. The amount refunded shall be the full amount received by the court under Subsection (3), which may be less than the full amount of the bail set by the court. (5) Before refunding bail that is posted by the defendant in cash, by credit card, or by debit card, the court may apply the amount posted toward accounts receivable, as defined in Section 76-3-201.1, that are owed by the defendant in the priority set forth in Section 77-38a-404. 77-20-4 Bail to be posted in cash, by credit or debit card, or by written undertaking. 77-32a-101, that are owed by the defendant in the priority set forth in Section 77-38a-404. 77-20-7 Duration of liability on undertaking — Notices to sureties — Exoneration if charges not filed. irrespective of any contrary provision in the undertaking. Any failure of the defendant to appear when required is a breach of the conditions of the undertaking or bail and subjects it to forfeiture, regardless of whether or not notice of appearance was given to the sureties. Upon sentencing the bail bond shall be exonerated without motion. 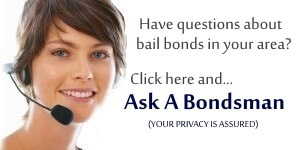 (b) If the sentence includes a commitment to a jail or prison, the bail bond shall be exonerated when the defendant appears at the appropriate jail or prison, unless the judge does not require the defendant to begin the commitment within seven days, in which case the bail bond is exonerated upon sentencing. (c) For purposes of this section, an order of the court accepting a plea in abeyance agreement and holding that plea in abeyance pursuant to Title 77, Chapter 2a, Pleas in Abeyance, is considered to be the same as a sentencing upon a guilty plea. sentencing reviews or any other deferred sentencing agreement. (b) serving the notice for extension upon the sureties and the person or his attorney. (3) A court may extend bail and conditions of release for good cause. (4) Subsection (2) does not prohibit the filing of charges against a person at any time. (5) If the court does not set on a calendar any hearings on a case within 18 months of the last court docket activity on a case, the undertaking of bail is exonerated without motion. 77-20-8 Grounds for detaining or releasing defendant on conviction and prior to sentence. (1) Upon conviction, by plea or trial, the court shall order that the convicted defendant who is waiting imposition or execution of sentence be detained, unless the court finds by clear and convincing evidence presented by the defendant that the defendant is not likely to flee the jurisdiction of the court, and will not pose a danger to the physical, psychological, or financial and economic safety or well-being of any other person or the community if released. (2) If the court finds the defendant does not need to be detained, the court shall order the release of the defendant on suitable conditions, which may include the conditions under Subsection 77-20-10(2). 77-20-8.5 Sureties — Surrender of defendant — Arrest of defendant. immediately following the surrender by surface mail, electronic mail, or fax. (b) To effect surrender, a certified copy of the surety’s undertaking from the court in which it was posted or a copy of the bail agreement with the defendant shall be delivered to the on-duty jailer, who shall detain the defendant in the on-duty jailer’s custody as upon a commitment, and shall in writing acknowledge the surrender upon the copy of the undertaking or bail agreement. The certified copy of the undertaking or copy of the bail agreement upon which the acknowledgment of surrender is endorsed shall be filed with the court. The court may then, upon proper application, order the undertaking exonerated and may order a refund of any paid premium, or part of a premium, as it finds just. (b) surrender the defendant to any county jail booking facility in Utah. (3) An arrest under this section is not a basis for exoneration of the bail bond under Section 77-20b-101. (4) A surety acting under this section is subject to Title 53, Chapter 11, Bail Bond Recovery Act. (4) the forfeited bail in cases not provided for in this section shall be paid 50% to the state treasurer and the remaining 50% to the county treasurer in the county in which the violation occurred or the forfeited bail is collected. 77-20-10 Grounds for detaining defendant while appealing the defendant’s conviction — Conditions for release while on appeal. (iii) locations where children congregate, or where a reasonable person should know that children congregate. (3) The court may, in its discretion, amend an order granting release to impose additional or different conditions of release. (4) If defendant has been found guilty of an offense in a court not of record and files a timely notice of appeal pursuant to Subsection 78A-7-118(1) for a trial de novo, the court shall stay all terms of a sentence, unless at the time of sentencing the judge finds by a preponderance of the evidence that the defendant poses a danger to another person or the community. (6) The provisions of Subsections (4) and (5) do not apply to convictions for an offense under Title 41, Chapter 6a, Part 5, Driving Under the Influence and Reckless Driving. (7) Any stay authorized by Subsection (4) is lifted upon the dismissal of the appeal by the district court.